As one of the most important figures of 20th century American art, Hans Hofmann is celebrated for his exuberant, color-filled canvases, and renowned as an influential teacher for generations of artists—first in his native Germany, then in New York and Provincetown. Hofmann has played a pivotal role in the development of Abstract Expressionism. Between 1900 and 1930, Hofmann traveled to Munich, to Paris, then back to Munich. By 1933, and for the next four decades, he lived in New York and in Provincetown. Hofmann’s evolution from foremost modern art teacher to pivotal modern artist brought him into contact with many of the foremost artists, critics, and dealers of the twentieth century: Henri Matisse, Pablo Picasso, Georges Braque, Wassily Kandinsky, Sonia and Robert Delauney, Betty Parsons, Peggy Guggenheim, Lee Krasner, Jackson Pollock, and many others. His successful career was shepherded by the postwar modern art dealer Sam Kootz, secured by the art historian and critic Clement Greenberg, and anchored by the professional and personal support of his first wife, Maria “Miz” Wolfegg (1885–1963). In 1944, Hofmann was approached by Peggy Guggenheim to present his his first solo exhibition at Art of This Century in New York. Hofmann balanced the demands of teaching and painting until he closed his school in 1956. Doing so enabled him to renew focus on his own painting during the heyday of Abstract Expressionism. For the next twenty years, Hofmann’s voluminous output—powerfully influenced by Matisse’s use of color and Cubism’s displacement of form—developed into an artistic approach and theory he called “push and pull,” which he described as interdependent relationships between form, color, and space. 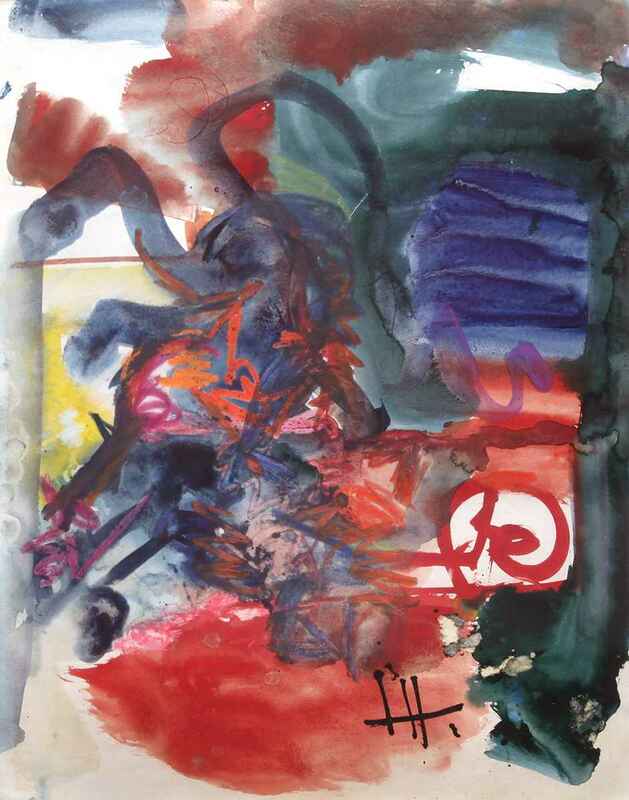 From his early landscapes of the 1930s, to his “slab” paintings of the late 1950s, to his abstract works at the end of his career upon his death in 1966, Hofmann continued to create boldly experimental color combinations and formal contrasts that transcended genre and style.